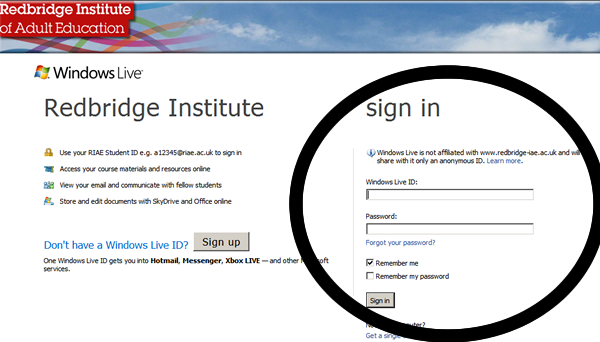 Last month I was given the log in details for Live@Edu from Richard Barham and our department set to work to see how this whole Microsoft Web Apps thing worked. We (or rather I) didn’t make too auspicious a start which resulted in a swift call to Richard to determine exactly where we logged on. When being told it was through Hotmail (or Windows Live to be more precise) it further exemplified just how much of a change this Cloud Model is going to be. “No you can’t use Hotmail as its blocked” has become a well-worn mantra certainly at Perins and at other schools and now I had to use it to log on! 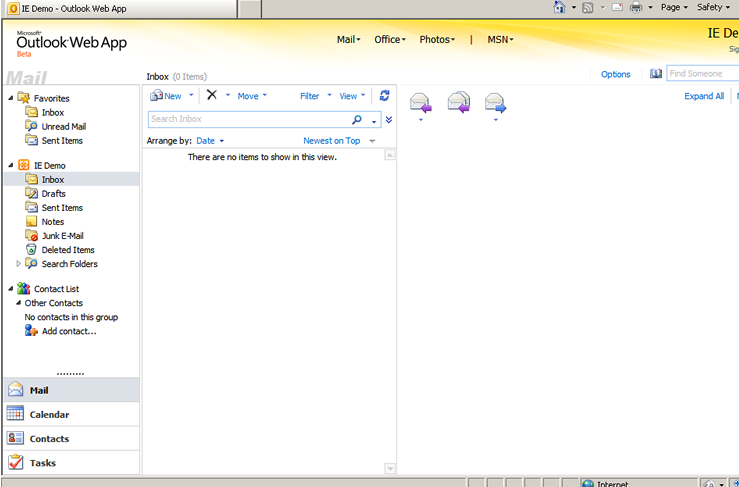 That said in no time we had sent emails, created Contacts and played about with the different software apps. 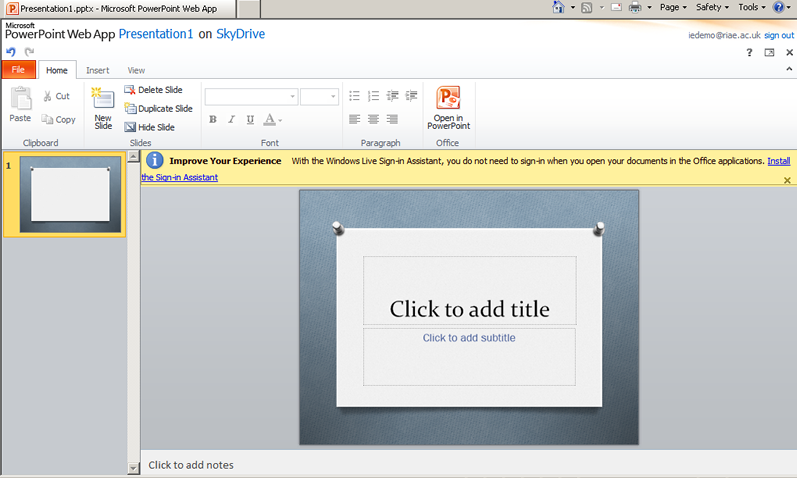 Dan Gardner our AST in e-learning (@EnglandRaider) has suggested a comparison between Web Apps and Office 2010 to see the functionality – and that is for a further blog. On playing I would guess that we have no more than 30% functionality for Web Apps although somewhat “predictably” or should that be “disappointingly” there is the “open in Office 2010” icon which appears on every application which clearly offers the prospect of integration and extra features. I guess this integration opportunity is not unexpected and on testing it throws up some interesting oddities for example – you cannot make tables in Word Live but a file made in Word 2010 with tables that is subsequentlyopened in Word Live shows the tables! I dont know enough about Sharepoint but I do know a man who does and have contacted Mike Herrity (@mikeherrity) over at Twynhams School for a vist and a chat. Hey you get onto my Cloud! I first heard about the Live@Edu Hampshire Cloud project early this year. I was fortunate enough to be put into contact with Richard Barham the Project Manager at the stage when Hampshire were preparing a tender document for this process. Richard was kind enough to send me a copy for comment and we subsequently used the format of the tender process for our own bidding process for the next generation of notebooks and VLE support for Perins. I did not hear anything much more until the summer when it was announced that Microsoft had won the contract and Live@Edu would become the basis of the solution. I remember feeling very disappointed because as a fairly regular GoogleApps user (it is embedded on our Moodle) I had hoped for a step away from software which continues to dominate school IT and too often can limit ambitions and creativity of students (there I’ve said it). Prejudices aside I contacted Richard and asked if we could become one of the pilot schools for November 2010 start. This gave me time to look a bit more at Live@Edu and the more I use it, the more I am beginning to warm to its charms. My first experiences of it came almst by accident at a TeachMeet Moodle organised by Dan Humpherson @MoodleDan in Heythorpe College in London (http://opensourceschools.org.uk/teachmeet-moodle.html-0, http://teachmeetmoodle.pbworks.com/TeachMeetMoodle and http://www.ustream.tv/channel/tmmoodle for presentations). I met Gerrard Shaw (gerrard.shaw@redbridge-iae.ac.uk) during the Speed dating task and he showed me how Redbridge Institute for Adult Education had managed to integrate Live@Edu into their Moodle. 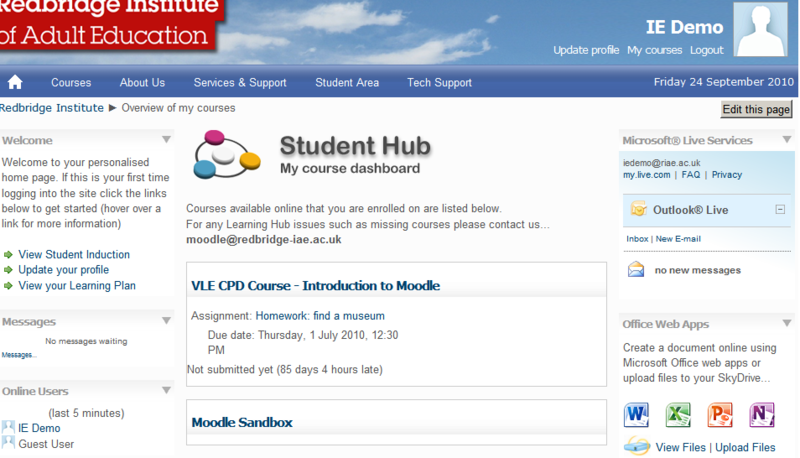 Once enrolled you then have access to the Web Apps, your online Sky Drive and email. Although I have not explored them further I hear good things about the collaborative opportunities within Live@Edu with the options of sharing resources at file and folder level via your Contacts list in your e-mail. 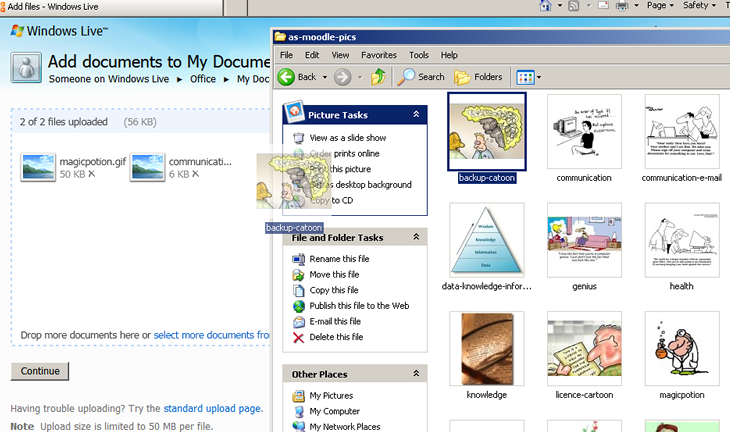 It would be interesting to see what Microsoft’s road map is for the development of these web apps? As a pilot school we will have the additional functionality of Sharepoint web parts and I’m told that Microsoft have been doing some interesting work with Moodle. Best leaving the last words to the late great Alexis Korner – who certainly was not a keen fan!